This January, on our the third anniversary of the school, we are very proud and excited to welcome cohort 8, our first international cohort, spread across three locations: in San Francisco, New Haven, and Bogotá! Holberton pioneered a project and peer-learning based approach to train Software Engineers in the US, leading graduated to work at companies around the world, including Apple, Google, Facebook, Tesla and more. Our tuition model, based on ISAs, where students pay nothing until they find a job, is tearing down the financial barrier to a high-quality education and attracting a student body that is shattering the software industry’s lack of diversity. As the model succeeded in the San Francisco Bay Area, we are thrilled to bring it to the state of Connecticut and to open our first international campus in country of Colombia. Did you know software developer tops the list of the new US News report on 2019’s best jobs? So why not see what all the fuss is about? You have three locations to choose from and more to come! 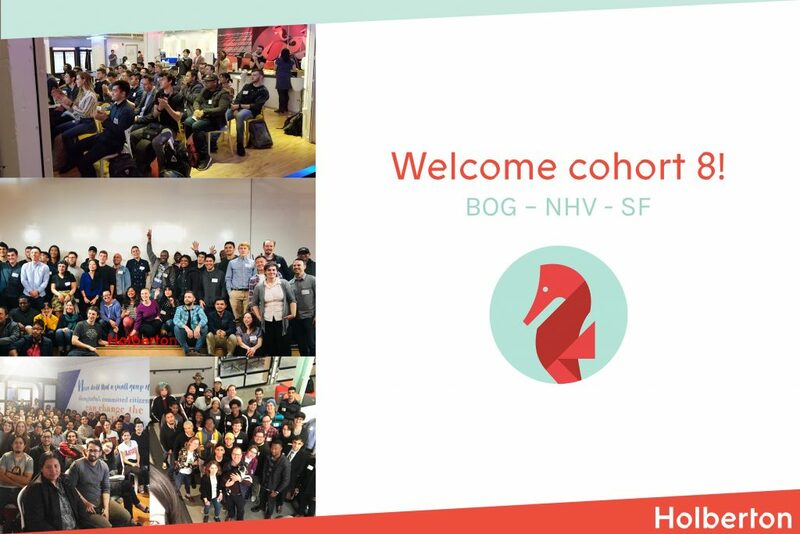 Join me in welcoming the new students to the Holberton family!